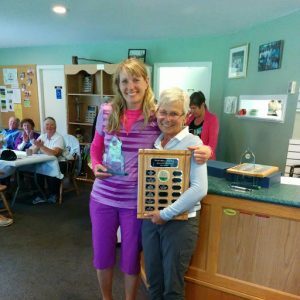 On Saturday, September 17, 2016 (under adverse conditions), the Gold River Ladies Club hosted our 24th annual “Jewel of the Isle” Golf Tournament. 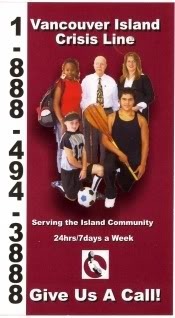 62 ladies from all over the Island participated. We are very pleased to announce that Caroline Anderson of Cordova Bay Golf Club in Victoria was the winner of the Low Gross Trophy (sponsored by Gold River Builders) with a score of 86. The low net winner with a net score of 73 (sponsored by Cypress Creek Logging Ltd.) was Deb Hutchinson of Storey Creek Golf Club. 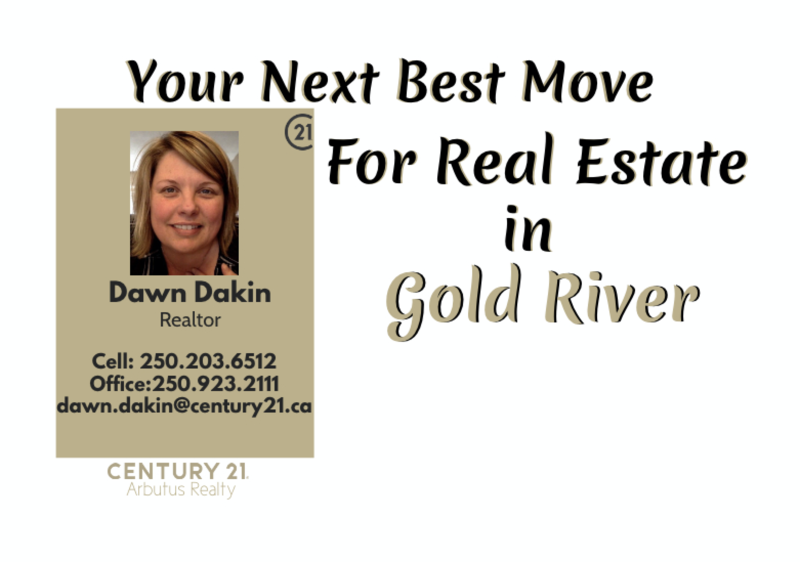 Our Hole-In-One prize was not won this year, but our sincere thanks to the sponsors for this. 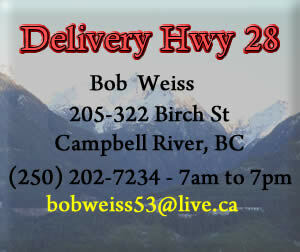 They were: Gold River Golf & Country Club, Get West Adventures, the Ridgeview Motor Inn and the Ridge Roadhouse. 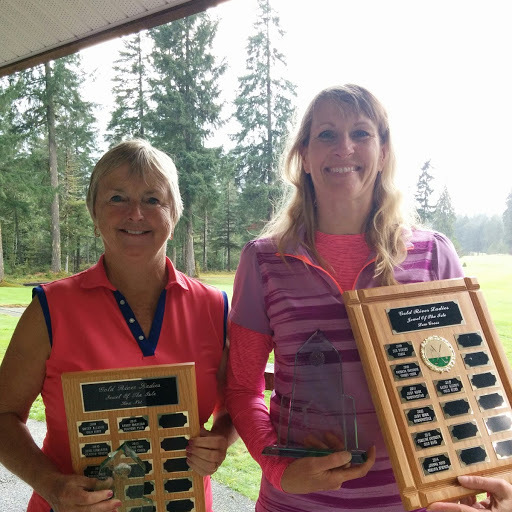 The low handicap KP was won by Caroline Anderson (Cordova Bay) sponsored by GR Auto Parts Plus and the high handicap KP was won by Penny Wagenstein (Sunnydale), sponsored by Reliable Auto Body. 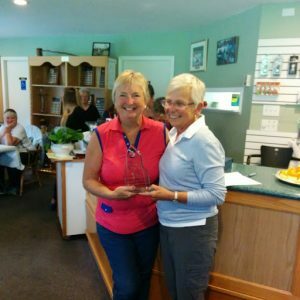 The low handicap long drive was won by Marge Bibby (Cottonwood), sponsored by HB Energy and the high handicap long drive was won by Cathy Watson (Gold River), also sponsored by HB Energy. 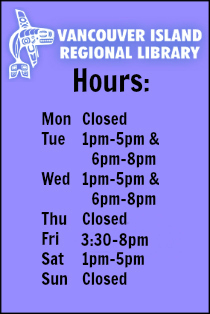 Many thanks to Barb Brinkman, Trudy Annand, Kathy Allison, Nicki Hammell, Cathy Watson, Debbie Bono, Sheryl Parkes, Norma Leighton, Pat Akerlund, Lynda Mifflin, for all the help you provided. Thanks to Marion Last and her crew who were our awesome entertainers at our Friday night social. To our hole spotters (Brian Watson, Richard Parkes, Danny Ball, Vanetta White, Vienna Johnston), our cart driver (Ron Bono), and our course marshall (Larry Rich), a big thank you. Our score keeper, Georgie McKenzie, a big thanks. Thanks to Dave McGeachy and his staff for having the course in such great shape. Once again, the golf club staff provided great service at the Pro Shop and Leanne and her staff provided an excellent spread for our Friday night appies and our Saturday luncheon. A Lot on the Side, Caroline Anderson, Coastal Mountain Fuels – North, Conuma Cable, Cypress Creek Logging, Fields Stores, GR Auto Parts Plus, GR Builders Supply & Garden Centre, Get West Adventures, HB Energy, Joanne Schmidt – Avon, Linda Vandenberg, Liquor Express, London Drugs, North Island Clayworks, Peoples Pharmacy, Reliable Auto Body, Ridgeview Motor Inn, Ridge Roadhouse Pub, Stop n’ Go General Store, Shopper`s Drug Mart, Super Valu, Tammy Hammell – PartyLite, The Lodge – Gold River, VI Insurance, Village of Gold River, Western Forest Products, Alberni Golf Club, Arrowsmith Golf Club, Cordova Bay Golf Club, Glacier Greens Golf Club, Gold River Golf Club, Quadra Island Golf Club, and Sunnydale Golf Club.